Is LeBron James a great player, or team to stacked up? Is LeBron James a Jordan in today’s game??? LeBron James is good and I don’t take his game for granted. Did James lead the Cavs to a championship game? No he did not….but the reason he didn’t do just that, was he didn’t have a side kick. In the NBA you need more than just one great player. Allen Iverson was great, but never had that one other superstars running beside him. Jordan was and is the greatest player to ever play the game. When Pippen was young and not mature enough, the Pistons would beat the Bulls. It took Pippen to be good when the Bulls were the team to beat. The rest of the Bulls players were average. You had Longley, Grant, Kerr, and others that put in their best efforts. Yet it was truly Pippen and Jordan’s team. Dwayne Wade and Ray Allen by themselves were great and were mentioned way before they came to the Heat. Not to mention Chris Bosh was in his own World of being Raptors best player. Now merging together they have been the team to beat. Four Superstars together on one team and taking the NBA by storm for years. The last time a NBA team was so stocked up on one team was the Lakers with Gary Payton, Kobe Bryant, Dennis Rodman, Shaq, and Karl Malone. However they never could work as a team and lost sadly. Yet it was not sad to me because they were too stocked up. I wanted the underdogs to win. So now with James having good stats and 3 other all-stars on the team…media and fans continue to compare James to Jordan. However, should it be mentioned what I said? The Miami Heat truly are so talented, that it don’t matter who has the ball they can make a run for the championship. The two teams remaining left in this year’s final are Oklahoma City Thunder and San Antonio Spurs. Looking at their depth chart two superstars on those two teams. So knowing that there are 5 guys on the floor in NBA basketball that truly makes a difference. To have two extra superstars on one team. So, while media and fans want to continue the Michael Jordan chants, I will sit back and say no way. 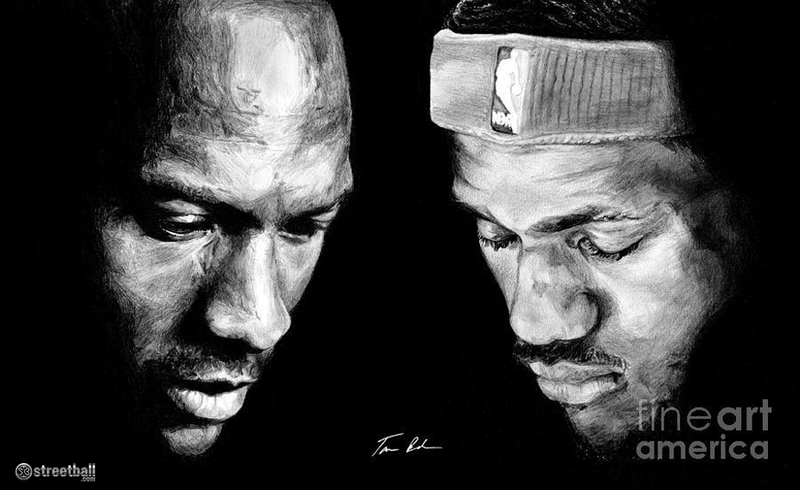 No way does LeBron James have my respect to call him the greatest player to live or to even put him on the same pedal stool as Jordan. There is no true Jordan since he walked off the floor. Only person was close to Jordan has been Kobe Bryant. YET so close…but yet so far.